Flow is more than something that happens about you; it is also a state of Being and a set of skills you can acquire. You can use these journeys to consciously open more of these channels throughout your being, learning to allow your entire Being to resonate in co-creation with the higher flows of Source. Become a "Clearing" for the Divine Energies of the universe to move more gracefully through you. As this happens, you can experience more pure levels of your Self, and become a more purposeful and fulfilling expression of your soul in the earth dimension. Imagine being in the world as a Master of Flow, as distinct from being an administrator of details. This is a profound expansion and shift of Being for you. 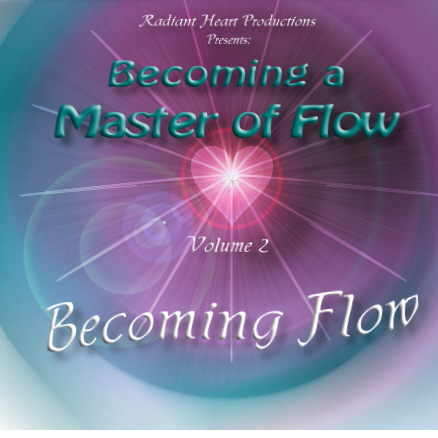 It is about YOU becoming a Master of Flow. As you open more and more of these different, multiple micro-channels moving through you, you become more fluid, more intuitively magnetic to your highest good. Ray Hix - Sensing Flow - 30:02 € 4.75 Buy this Single mp3 ! Ray Hix - Allowing Flow - 29:54 € 4.75 Buy this Single mp3 ! Ray Hix - Releasing & Absorbing Potentials from Flow - 31:00 € 4.75 Buy this Single mp3 ! Ray Hix - Functioning As Flow - 30:08 € 4.75 Buy this Single mp3 ! Ray Hix - Increasing Flow - 30:23 € 4.75 Buy this Single mp3 ! Ray Hix - Generating Higher Flows - 29:28 € 4.75 Buy this Single mp3 ! Ray Hix - Opening to Source Flow - 30:49 € 4.75 Buy this Single mp3 ! Ray Hix - Shifting Identity to Radiance and Flow - 31:00 € 4.75 Buy this Single mp3 !